Some play EDH for fun. Some play to socialize. 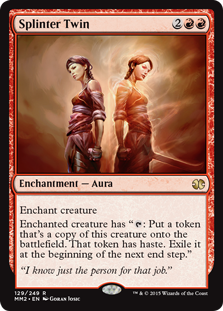 Some play to make friends, or cast cards they can’t cast in other formats. If you’re a Herm or Hermette, you play to win the game. In non-EDH terms, a Herm/Hermette is most closely aligned with a Spike, but, for the purposes of EDH, they’re a little different. Let’s delve a little deeper. Herms/Hermettes play to win, and will therefore play some pretty broken, highly-tuned decks in order to get there. 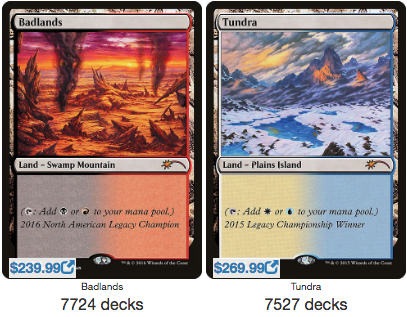 In my previous article in this series I mentioned two-card combos as being a Herm favorite. While I believe this still holds true, there are certainly more ways to find them. For one, Herms/Hermettes tend to play the best of the best cards. 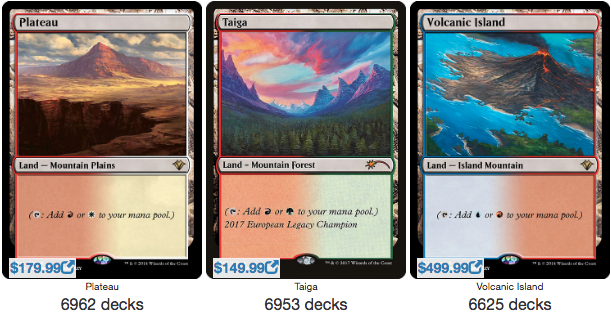 They don’t allow anything less than optimal in their decks, and when it comes to a mana base, it doesn’t get any better than the game’s original dual lands. At any rate, these souped-up mana bases are a great place to start looking for Herms and Hermettes. But where else might we find them? It’s hard to lose when your opponents have no permanents. This mechanic is tailor made for Herms and Hermettes everywhere. Forty life you say? Ten poison says I. Herms/Hermettes love bending the rules of the game to their favor, and poison is a perfect example. Cheating costs is a longtime Hermette tradition, and in a format with double the life of most others, two points is a small price to pay. That’s a lot of cards in a lot of decks. If you’re playing them, chances are you might be a Herm or Hermette. But enough with individual cards. Let’s talk the nitty-gritty. During long games of EDH, minds can sometimes wander. We’ve all seen it. The active player counts their mana for the sixth time while someone else checks their Snapchat while everyone else watches the football game. Simply put, the average EDH player can get distracted. Herms/Hermettes often resist this urge. You know someone’s a Hermette when they focus on the game the entire time, and they don’t even react when the Browns turn the ball over. Furthermore, Herm/Hermettes often have a streak of Puppet Master in them. You’ll remember the Puppet Master from our previous article; this is the player who always works the political angles. Puppet Masters enjoy pitting players against one another, inciting conflicts, and generally tugging the strings of their opponents. When you consider the goals of Herms and Hermettes, this cross-section makes a lot of sense. 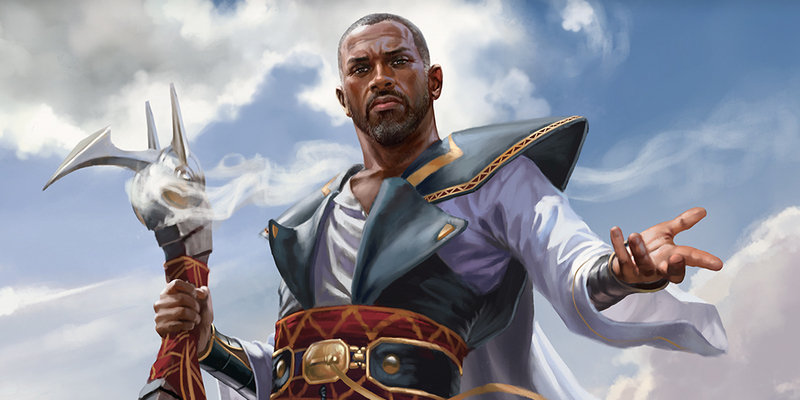 If you’re not good at politics, you’re unlikely to win a lot of games of EDH. Therefore, Herms and Hermettes tend to be adept at this style. However, this isn’t always the case. You might have that one person who comes from Modern and wants to play EDH because they heard Splinter Twin and Birthing Pod are still legal. 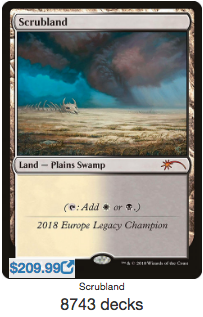 This is totally cool, of course; it’s just that these players, usually Spikes in their previous formats, sometimes ignore the political aspects of EDH (at least at first). Herms/Hermettes tend to treat games like Top 8 matches, and therefore might take a while with their turns. They think out their plays before they make them and try to come up with the best line possible every single time. This is why I think playing against Herms/Hermettes is kind of fun; it forces you to play your best, since they’re playing their best. The classic Herm/Hermette reaction to a new set is wondering which of the new cards are most busted. 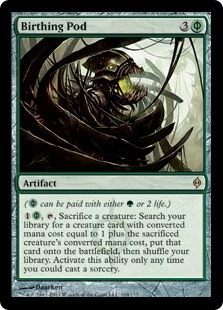 When you saw Muldrotha, the Gravetide for the first time, did you immediately think of its synergy with Wasteland? Me too. Welcome to the club. Or here’s another example: perhaps you immediately looked for any new combos or killer win conditions that might’ve been hiding in the set. If you ever built an EDH deck around Shaeeli Rai and Felidar Guardian, for example, it’s quite possible that you’re a Herm/Hermette. When an opponent offers an alliance, you secretly envision the moment when you betray them and win the game. You puke a little in your mouth when opponents play Guildgates. Your deck contains good cards, not sweet cards. When you hear one player suggest that a particular card should be banned, you go out and purchase said card, just to see what all the fuss is about. You played Leovold, Emissary of Trest religiously while it was legal. Bonus points: You still have a copy hidden in your closet, lest it one day becomes unbanned. You track your EDH wins and losses in a spreadsheet. You’ve coached the New York Jets and/or the Kansas City Chiefs at some time in your life. Your friends always attack you first, citing past losses as justification. When a rules dispute arises, you call for a judge—even though you’re playing at your friend’s mom’s house and not the local LGS. Okay, who here is a Herm/Hermette? Let us know in the comments below. We want to hear from you!